On 22 February 2017 we were pleased to welcome visiting Swiss radio amateur Josef Rohner HB9CIC and his XYL Ruth from the cruise ship MS Artania’s stopover in Auckland. 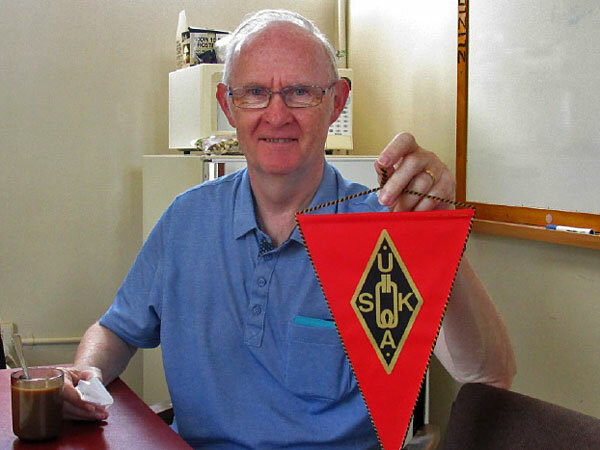 Ann ZL1BFB picked them up from the ferry at Half Moon Bay and they spent an hour and a half exploring the station, before presenting us with a pennant from the Swiss Amateur Radio Organisation. 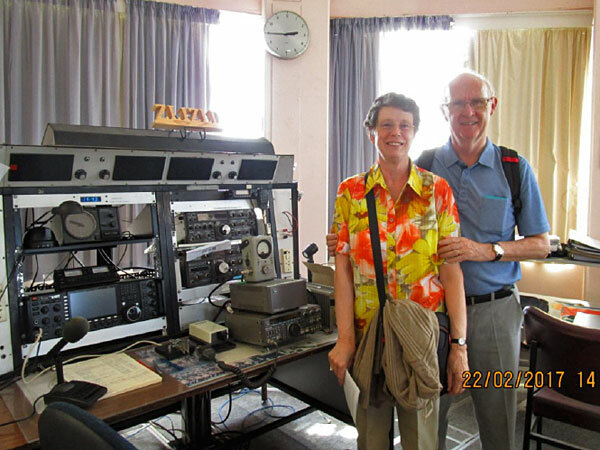 Josef HB9CIC and his wife Ruth in the west operating room at Musick Memorial Radio Station.